Our commitment to quality is to generate print so stunning, that your corporate brand will stand out from the crowd. Every aspect of our company is focused on producing the best quality print and to enhance your company’s stationery range. OMM guarantee you receive print that demands people stop what they're doing and pay attention to you. With over 20 years experience in corporate print we guarantee you will not be disappointed. 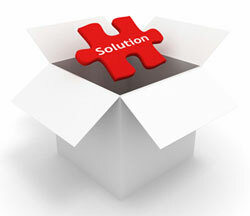 Use our web to print service for a quick and simple solution at a touch of a button. Stocked print materials across the range. All artwork and templates are setup for you with your corporate logo and design. We offer a proofing accuracy of 99% before final printing. This is essential in making sure our customers feel they are in safe hands from the design stage to the final print. We understand that each moment without your print can cost you a business opportunity. That’s why we offer 24 hour guaranteed turnaround* for all your print. OMM guarantees a rapid and reliable service that operates according to your schedule. *Our turnaround guarantees apply Monday to Friday during 9.00-17.30 working hours only. 24 hours after PDF proofs have been approved. Subject to sight of copy. Printed stock items held onsite. OMM also provide a stock service for your print. Your print can be stored at our Head Office in Stratford free of charge, and when necessary call-offs can be made to ensure that print can be sent as a next or same day delivery. We manage optimum stock levels and distribution to thousands of satellite sites, across hundreds of operations. Our vast experience in procurement and project management, inventory and control logistics enables us to provide a true single source solution. OMM manages print production from conception through to delivery, helping businesses to gain greater control over their costs. Our team of print designers can produce artwork to match existing corporate designs or create a whole new corporate identity to suit your company. If you’re supplying your own artwork or need our design team to create something different for your company, we guarantee that your print will astonish clients and customers that your print will stand out from the competition. Our In-House design team are ready now to create your print and give assistance on basic layout or colour co-ordination. The end result is to maximise your prints potential and wow your target audience through our in-house design team. Print to support any language. We have many clients who require both English and Japanese wording on their printed stationery. Our design software offers global publishing capabilities and support for more than 30 languages. Further more, we can even open, edit, style, and output East Asian documents with ease. We support East Asian wording for Traditional and Simplified Chinese, Japanese, and Korean. Our software features more than 20 additional OpenType® font features and a user-friendly advanced character spacing (or “Mojigumi”) feature. This also supports true ideographic grids with character count and advanced alignment options. All digital print has a turnaround of 3 working days and Litho print has a time of 5 working days. Call-off stock can be delivered same or next day. or use our Online form for a FREE, no obligation quotation today.